The Ministry of Health wants 90 per cent of Fijians tested for HIV, as part of comprehensive screening plans after 2015. The plans were discussed during the National Strategic Planning Meeting for health stakeholders at the Holiday Inn in Suva yesterday. Acting Permanent Secretary Public Health Dr Meciusela Tuicakau was confident they could build on the work done over the past two years by President and HIV/AIDS awareness advocate Ratu Epeli Nailatikau. “The fight against HIV doesn’t stop here, with the end of Millenium Development Goals (MDGs) and now envisioning post 2015. “The vision seems more clearer and closer than ever before, on achieving the bold declaration of UNAIDs, zero new infections, zero AIDS-related deaths, and zero stigma, discrimination and moving towards the goals of 90, 90, 90,” he said. 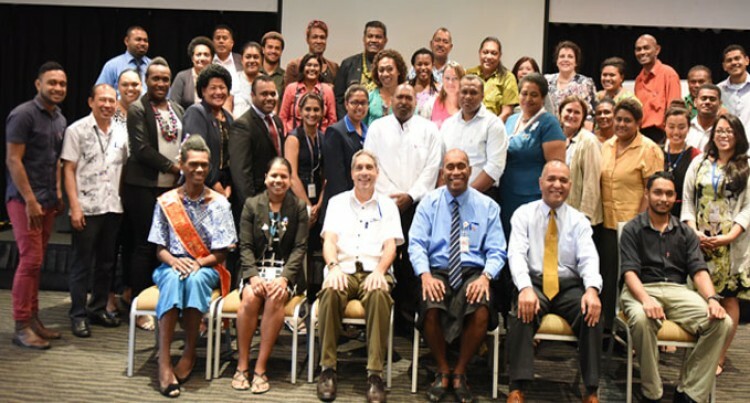 “This is where we anticipate that 90 per cent people are tested for HIV in Fiji, 90 per cent of those tested positive are on treatment, and 90 per cent of persons have suppressed viral load,” he said. There were 625 cases of people living with HIV in Fiji, according to Ministry of Health’s Rachel Devi. “It is cumulative from 1989 until today, and Fiji has the highest compared to other Pacific Island countries because it’s heavily populated,” she said. Fiji UNAIDS country director Roberto Luiz Brant Campos said more young people should get tested for HIV. “Young people have to get a HIV test as Aids is no longer a death sentence like in the past where everybody has fear of having Aids,” he said. “Youths are very vulnerable as their level of HIV is low but their level of sexual transmitted infection is high on both boys and girls including young pregnant women,” he said. “There is no cure for but we have treatment and if the person is treated; he or she can leave more than sixty years. “There’s no difference between people living with HIV and receiving treatment than the general public and so people do not have to live in fear anymore,” he said.